Holt: And now, a message of hope. Everything is garbage. 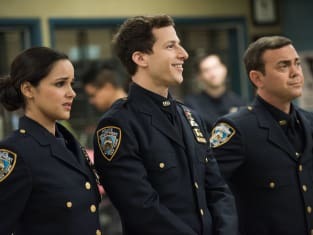 Brooklyn Nine-Nine Season 3 Episode 2: "The Funeral"
Charles: Pillow-talk alert! Spooning or face-to-face? Permalink: Pillow-talk alert! Spooning or face-to-face?